Abduvohidov A. 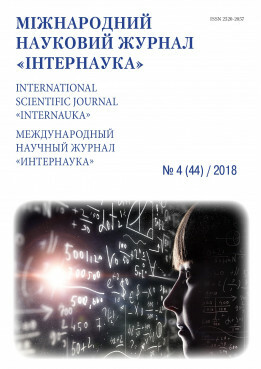 An interconnected relationship between plurilingualism and pluriculturalism // International scientific journal "Internauka". — 2018. — №4. Summary. The article focuses on plurilingualism and pluriculturalism. The article also explains the advantages and disadvantages of plurilingualism and pluriculturalism. Key words: plurilingualism, pluriculturalism, culture, language,multi,cultural. Since the effective integration of culture in the language teaching curriculum, a growing number of terms related to this root have appeared to cover every aspect of this all-embracing term. If at first the terms “contrastive” and “cross-cultural” were the key terms in cultural studies, the incorporation of multicultural and intercultural approaches widened our perspective. The scope of cultural studies nowadays includes the self, the group and the communicative situation and those are the references of the three terms, pluricultural, multicultural and intercultural. The Common European Framework of Reference for Languages helps us to understand the sense of these three terms. It states that “plurilingual and pluricultural competence refers to the ability to use languages for the purposes of communication and to take part in intercultural interaction, where a person, viewed as a social agent, has proficiency, of varying degrees, in several languages and experience of several cultures” . This definition is perhaps better understood after considering two other quotations at the very beginning of the same work: “Plurilingualism differs from multilingualism, which is the knowledge of a number of languages, or the coexistence of different languages in a given society …. Beyond this, the plurilingual approach emphasises the fact that as an individual person’s experience of language in its cultural contexts expands, from the language of the home to that of society at large and then to the languages of other peoples …, he or she does not keep these languages and cultures in strictly separated mental compartments, but rather builds up a communicative competence to which all knowledge and experience of language contributes and in which languages interrelate and interact”. “Plurilingualism has itself to be seen in the context of pluriculturalism. Language is not only a major aspect of culture, but also a means of access to cultural manifestations. Much of what is said above applies equally in the more general field: in a person’s cultural competence, the various cultures (national, regional, social) to which that person has gained access do not simply coexist side by side; they are compared, contrasted and actively interact to produce an enriched, integrated pluricultural competence, of which plurilingual competence is one component, again interacting with other components”. So, we assume that multilingualism and multiculturalism are concepts used to describe a general situation (region, country, community) of linguistic or cultural contact. From the linguistic point of view, it is easily “detected”; from the cultural point of view, however, it is more difficult to describe something as multicultural. Normally, the term is used to explain three visions of diversity: culture as nation state (so that a society is multicultural if different nationalities are involved, as the EU may be), culture as religion (so that a society is multicultural if different religions are involved) or culture as ethnic groups (so that a society is multicultural if different ethnic groups are involved). However, none of these metaphoric definitions of culture are satisfactory and it could be argued that others could be added, such as “culture as age”, “culture as gender”, “culture as profession”, “culture as ability/disability”, and many others . Consequently, any country, region, community or group is multicultural by definition, as different cultures interact simultaneously at any level. So, we should keep multilingualism and multiculturalism for the description of contexts where languages and cultures are in contact. Plurilingualism and pluriculturalism is a personal feature which is put into action in a communicative situation. It is not a new competence, as we all use different “registers” of the same language in different situations just as we use different cultural repertoires in different situations. The new idea is the development of plurilingualism and pluriculturalism as the result of a process of language learning. “Interculturality” is a term used to describe, firstly, the context of a communicative situation, in which the people involved use all their capacities to interact with each other, and, secondly, a set of communicative strategies for that interaction. It is, then, definitely situational in comparison to the “pluri-” and “multi-” concepts, which are personal and societal respectively. Interculturality is, undoubtedly, one of the key notions in language teaching at the moment and, consequently, it has received great attention from different ECML projects. By way of illustration, over the last two years: in their presentation of the Janua Linguarum project, ascribe the “awakening to languages” and language awareness to the intercultural approach: “the awakening to languages emerges as a particular facet of the intercultural approach, of which it becomes an integral part, with its own characteristics”; the attempt to establish an agenda for language education in chapter one of is entitled “The intercultural framework”; try “to incorporate intercultural communication training into teacher education in Europe” and with that intention in mind they compiled a textbook “to assist trainers and teachers in achieving this aim by providing teaching materials that focus on intercultural learning”; under Ildikó Lázár’s co-ordination of the project Incorporating intercultural communicative competence in language teacher education, studied the views of teachers of English and French on intercultural communicative competence in language teaching; considered the role of culture in foreign language teaching materials from the perspective of intercultural competence; developed a number of tests to assess intercultural competence; tried tointroduce intercultural competence in language learning as a way of solvingcommunication problems through the use of stories and anecdotes; and, finally, dealt with topics such as cultural sensitivity (sensibilisation culturelle), empathy (empathie), hospitality (l’hospitalité) and representation of otherness and the other (représentations du concept d’altérité and des autres) in their project about cultural mediation in language teaching. Council of Europe (2001), Common European Framework of Reference for Languages: Learning, Teaching, Assessment, Cambridge University Press, Cambridge. Collier, M.J. (1994), “Cultural Identity and Intercultural Communication”, in Samovar, L.A. and Porter, R.E., Intercultural Communication: A Reader, Wadsworth Publishing Co, Belmont, California, pp. 36-44. Candelier, M. (ed. ), Andrade, A.I., Bernaus, M., Kervran, M., Martins, F., Murkowska, A., Noguerol, A., Oomen-Welke, I., Perregaux, C., Saudan, V. and Zielinsla, J. (2004), Janua Linguarum – The Gateway to Languages. The Introduction of Language Awareness into the Curriculum: Awakening to Languages, European Centre for Modern Languages/Council of Europe Publishing, Strasbourg. Huber-Kriegler, M., Lázár, I. and Strange, J. (2003), Mirrors and Windows: An Intercultural Communication Textbook, European Centre for Modern Languages / Council of Europe Publishing, Strasbourg.